OK short answers before we get into the ultimate guide on Glucosamine! Glucosamine Supplements Do They Work? That seems to be the common question we get so we wanted to clear that up right from the start. Justin Explains What To Look For! Now… take 5 – 10 minutes and take in all the information below so you are well educated on this supplement, what it is, how it works, side effects, and things you might have never thought about. So Just What Is Glucosamine? It is a natural occurring chemical compound in the body and is often used in joint supplements to relieve joint pain caused by arthritis.Your levels fall as you age and this can lead to a slow breakdown of the joint compounds. Glucosamine is important because it contributes to cartilage formation and joint lubrication. 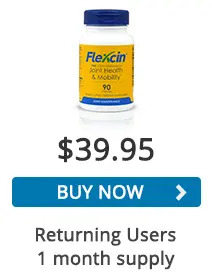 When shopping for the right joint supplement, you’ll often come across glucosamine, which generally takes two forms: “sulfate and “hydrochloride“. What are the differences between the two and what do they mean to you? We outline what you need to know as it pertains to choosing the right joint supplement. Glucosamine sulfate is the most common type found on the market and is the one most studied in animal and human trials. Sulfate is taken from the shells of shellfish and can also be made in a lab. 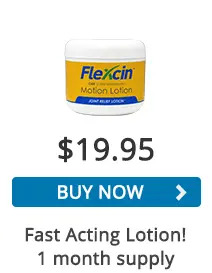 The body uses this to make a variety of other chemicals that are used in the construction of cartilage, ligaments, tendons, and a thick fluid that is found around the joints. Taking a supplement with glucosamine sulfate could increase the cartilage or fluid around the joints and/or stop or slow the breakdown of these substances. Glucosamine sulfate is stabilized with sodium chloride, also known as table salt. The sulfate part of glucosamine sulfate is the most important component. Sulfur is necessary for building and repairing cartilage. Glucosamine sulfate has been shown to work as well or better than some non-prescription pain medications, and is said to improve movement and pain levels. Another advantage of glucosamine sulfate is that there is some evidence that shows that using this component in a joint supplement may actually keep joint problems from progressing. Many times sulfur and sulfa are confused, but these elements are not the same thing. Allergies to drugs containing sulfa are very common, worrying some people about sulfur in joint supplement products. However, sulfa drugs combine sulfur, oxygen, nitrogen, and hydrogen, and allergies are triggered by the actions of the molecule, not by the sulfur. It is actually impossible to have an allergy to sulfur. Sulfur is a chemical element found in sulfites, sulfates, and sulfa drugs. It is an indispensable element needed for the functions of the human body. Glucosamine hydrochloride has less evidence available showing its effectiveness. It is also found in the shells of shellfish. Unlike Glucosamine sulfate, it lacks the sulfate component, which is needed by the body to produce and maintain cartilage. Glucosamine hydrochloride is more concentrated than the sulfate version and contains significantly less sodium. Glucosamine hydrochloride is often times effects of glucosamine and chondroitin on the joints in hopes for better results, but this is not currently supported by findings in trails and research. 1.Glucosamine sulfate contains the sulfur required for building and repairing cartilage, while glucosamine hydrochloride does not. 2. The research on glucosamine hydrochloride is not substantial, while glucosamine sulfate has been clinically shown to improve joint health. Studies suggest that glucosamine may work in treating and slowing the progression of osteoarthritis and other joint issues. As you shop for a joint supplement it’s crucial to know what types of ingredients are included. At Flexcin we hand pick our components based on efficacy and quality. Our ingredient choices are based on years of research and the constant evolution of our unique formula. Is Taking Glucosamine Sulfate Effective for Joint Pain? Again lets take a quick look at what this supplement is… Glucosamine is a simple sugar produced in the human body. A combined form of glutamine and glucose, it plays a vital role in forming cartilage. It also occurs naturally in shellfish species as glucosamine sulfate, and a hydrochloride compound called glucosamine HCL. Cartilage is vital to joint health, for it cushions joints and adds stability. As joints move, cartilage wears away, and the body must replace it. If the body’s ability to make cartilage stops or slows below replacement levels, the result is a form of osteoarthritis characterized by joint pain. Some European countries have approved medicinal glucosamine as a prescription treatment for arthritis and joint pain. However, the United States only permits the sale of Glucosamine only as an over-the-counter (OTC) dietary supplement. Beginning in 1980, researchers have conducted clinical studies to demonstrate the effectiveness of glucosamine sulfate to treat joint pain and limited mobility. Some studies show greater effectiveness for treatment of arthritis than common non-steroidal anti-inflammatory drugs, such as aspirin or ibuprofen. Studies show glucosamine sulfate provides primary benefits for osteoarthritis including joint pain relief, and slowing cartilage breakdown. The studies also found significant reduction of inflammation and increased antioxidant protection. 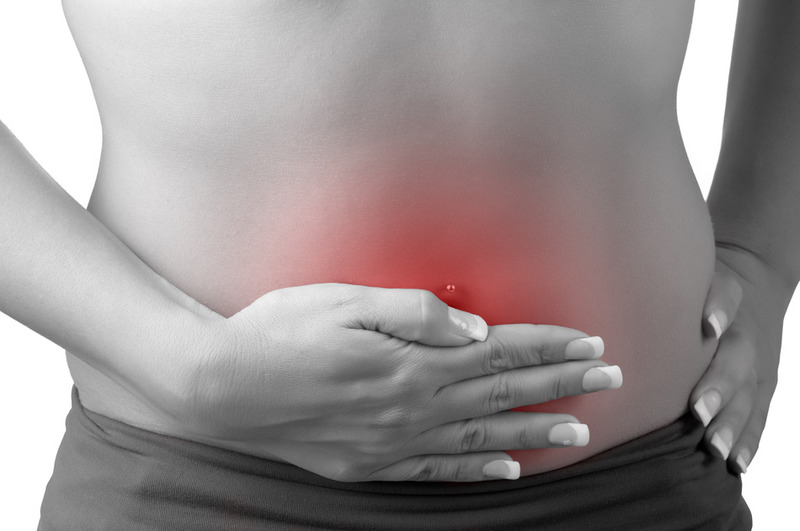 Glucosamine did not have side effects commonly associated with anti-inflammatory drugs, which can cause damage to stomach linings and gastric ulcers. What Is The Right Amount of Glucosamine Sulfate In Your Diet? When used as an osteoarthritis treatment, 1,500 milligrams is a standard daily dosage. One can take it all-at-once or in as many as three 500-milligram doses. Based upon body weight, for persons weighing 200 lbs or more, the standard daily glucosamine dosage is 2,000 milligrams per day for joint pain. 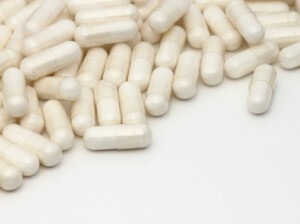 Drugs classified as natural health supplements are available over the counter. However, they are not subject to strict standards for purity and strength applied to prescription drugs. For example, a recently conducted independent study showed that contents varied substantially from the labels by up to one-third less than stated. A better practice requires certified analysis, or a third-party analysis or verification. Are There Allergies and Side Effects from Taking Glucosamine Sulfate? A three-year study found no severe side effects among subjects using 1,500 milligrams of glucosamine sulfate daily for joint pain. Of the reported side effects, the most common was mild gastrointestinal discomfort, and temporary effects included drowsiness, skin reactions, and headache. Some users may have concerns about use of the supplement by people with diabetes, because the glucosamine sulfate compound is a simple sugar (monosaccharide). Studies have not noted a change in blood sugar, but they have shown an increase in short-term insulin resistance. As a precaution, diabetics or pre-diabetics should have blood sugar levels monitored by a health care provider during early weeks of using the glucosamine supplement for joint pain. Researchers have only performed toxicity studies for the general public, as a result, data on the effects of glucosamine sulfate supplementation for children and pregnant or lactating women is insufficient. While there is no evidence of toxicity at 1,500 milligrams or higher, the record does not provide a basis to recommend for these groups, nor to encourage these particular population groups to take it for joint pain. Because sulfur is a naturally occurring essential nutrient in the human body, people can safely take glucosamine sulfate even if allergic or sensitive to sulfa drugs or food additives containing sulfites. Manufactures make glucosamine sulfate from the chitin exoskeleton of shellfish including lobster, crab, and shrimp. While pharmaceutical grade does not generally contain shellfish contaminants, manufacturers advise persons with severe shellfish allergies to exercise caution when taking this shellfish-based supplement. Glucosamine is a naturally occurring chemical found in the body, most notably in the fluid that surrounds the joints. Glucosamine benefits can also be found in nature, like in the shells of shellfish and is widely used in joint and dietary supplements. We know there are a million types of joint supplements out there and many of them are fill with ingredients you’ve never heard of. It’s important to know which ingredients are in your supplement, and why, plus any side effects they may have. To help you learn more about the glucosamine’s side effects, we’ve complied a short list about what you may experience with this chemical. Some studies suggest that glucosamine sulfate can increase insulin levels, resulting in increased blood pressure. If you are going to take glucosamine, or a supplement that contains it, we recommend monitoring your blood pressure. Because some glucosamine products are made with the shells of shellfish there is a slight concern that the chemical can cause an allergic reaction in people with a shellfish allergy. However, allergic reactions from shellfish are generally caused by the meat of the animal, not the shell. Therefore, it may still be safe for people who are allergic to shellfish to take glucosamine products. Previous research of animals suggests that glucosamine may increase cholesterol levels, however it is not proven that this same occurrence is true in humans. As mentioned earlier, glucosamine can increase insulin levels, which may lead to high cholesterol. If you have high cholesterol and take glucosamine, we highly suggest closely monitoring your cholesterol. Glucosamine may cause drowsiness or sedation. In some cases it may cause insomnia. As with most supplements or medications, side effects may happen, but are not guaranteed and reactions are different in each person. Now that you are aware of glucosamine’s side effects we hope you are more prepared to choose the correct joint supplement or medication for you. If you’re looking for joint pain relief and are still unsure about joint supplements, we can help. Is Glucosamine Only Good For Joint Health? Glucosamine has long been used in natural joint health formulas. Its anti-inflammatory properties help reduce joint pain and increase flexibility. Now, according to a recent study, glucosamine has another extremely beneficial affect on the body—it can offset the development of colorectal cancer. The recent study, published in Cancer Causes Control, found that the use of glucosamine supplements could reduce the risk of colorectal cancer by as much as 45%. The study consisted of 75,137 Americans between the ages of 50-76. Participants were questioned about their usage of glucosamine supplements. As it turns out, the group with the highest usage had a 45% less chance of developing colorectal cancer. The study is important because colorectal cancer has a high potential for death and severe health complications. Prevention is of course the best means of dealing with the issue, and it so happens that a simple supplement could be the key. Glucosamine is a safe and effective supplement that is widely used by people seeking to reduce inflammation within the body. The most common reason for its use it to reduce joint pain. 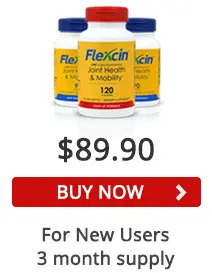 Glucosamine is also one of five key ingredients in Flexcin’s comprehensive joint formula. Thousands of customers have found relief with our all-natural joint supplement, and now, research shows it may also serve another great purpose. Like anything with health, an early and rapid treatment regimen is the most surefire way to beat or prevent any complications. Protect your joint health with a proven supplement that contains glucosamine—you could be preventing a serious form of cancer as well! This is an interesting and informative article. The thing that surprises me though is that you recommend taking glucosamine on it’s own not in conjunction with chondroitin – why then do so many suppliers marry the two ?